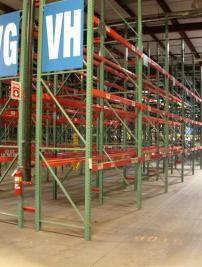 There are over 700 bays (over 6,000 Pallet positions) of selective pallet rack. 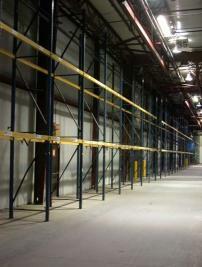 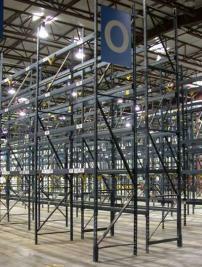 All the rack is 42" deep x 17' & 18' high with 8' wide beam levels with 5,000# capacity per level. 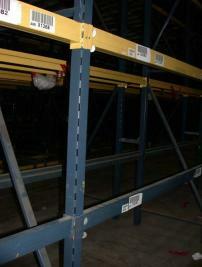 The pallet rack is Sturdi-Bilt brand with some Teardrop style and some Kingway. 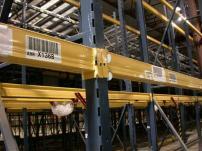 Most of the rack was accessed by wire guided narrow aisle forklifts, so there is virtually no damage to the uprights or beams. 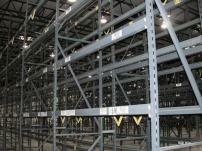 The racks can be purchased as a complete system, or we can offer pricing for smaller lots or components.